The technologies shared in Mineral UV Filter Formulas’ are Apply to face liberally and evenly 15 to 20 minutes before UV exposure. If continued UV exposure is expected, to maintain protection, reapply at least every 2 hours or after material water exposure, towel-drying, swimming or extensive perspiration. 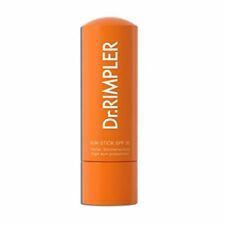 This SPF can be used alone or worn under makeup for a more even, long-lasting application. Provides daily multi-defense protection from UVA rays, UVB rays and HEV light. DEEP TANNING ACCELERATES TANNING ADDED MOSTURISERS. WITH TAN EXTENDER. • Very water resistant (up to 80 minutes). • Soy, gluten and nut free. Product Highlights • Never runs or stings eyes. • Safe for all ages. 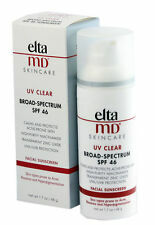 With new formula of superb protection against harmful UVA and UVB rays with SPF50 / PA .
SUN PROTECTION. Service Available. SUNLESS TANNING. Contains 9% Zinc Oxide & 7% Titanium Dioxide and an SPF of 41. 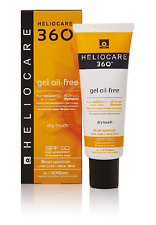 Size: ( Large ) 3 oz / 85 g. This chemical-free sunscreen uses natural mineral UV defense of zinc oxide and titanium dioxide. Use on the face either under make-up or alone. 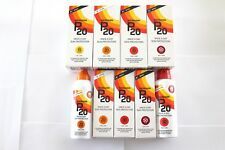 Piz Buin Tan & Protect Tan Intensifier Sun Lotion SPF 6 150ml is specially designed to naturally enhance your tan. View our Piz Buin range. The lotion is non greasy, non sticky and water resistant. SUN PROTECTION. Give skin the cool feeling without sticky oily touch. The Tea Tree Anti-acne Sunscreen contains 0,2% of Salicylic Acid, anti-acne ingredients, and Tea Tree Essential Oil to help protect your ski n. After your morning skincare routine, take out a quarter-sized amount of the sunscreen and apply it evenly onto your skin. Size.60 oz / 17g. Our Face Stick is our on-the-go solution for serious sun protection. Keep this stick handy as you head off on your next adventure. • Very water resistant (up to 80 minutes). • Soy, gluten and nut free. Alcohol Free, Colorant Free. Oil Free Formulation. Vast majority of the products will arrive anywhere between 4 to 7 weeks if not sooner. resolve it right away. Fernblock® FC (Fernblock enriched in ferulic acid and caffeic acid). Its exclusive antioxidant complex with Fernblock® FC, rich in ferulic and caffeic, green tea and vitamins C and E, enhances the antioxidant and photoimmunoprotective action. NO-AD Sun Protection Lotion SPF 50 475ml is a non-greasy, fast drying, lightweight lotion contains natural skin conditioners to help prevent the drying effects caused by sun exposure. Suitable for fair skin and sensitive skin types. SPF26 PA . SPF26 PA . Veils skin with a bright, pearly radiance that enhances skin tone for a healthy look. Smooth an appropriate amount evenly over face. Apply before foundation, for a more beautiful finish. Key ingredients include aloe vera, blueberry, cranberry, grape seed, kiwi, strawberry, hemp and goji. Apply liberally 15 minutes before sun exposure. Reapply after 80 minutes of swimming or sweating and at least every two hours or after towel drying. Veils skin with a bright, pearly radiance that enhances skin tone for a healthy look. Smooth an appropriate amount evenly over face. Apply before foundation, for a more beautiful finish. Provides comfortable, light-weight yet strong protection against UV rays at daily base. Water Resistant / 80 Minutes. Vitamin E Enriched. Gluten Free. Bietet sofort hohen Sonnen Schutz. Darüber hinaus sind die Produkte wasser- und schweißresistent. 2017 spring NEW model by Biore. SPF50 PA sunscreen for face and body. This is the 2017 version of this product. It is not the manufacture date nor the expiration date. Bioderma photoderm max aquafluid spf 50+ tinted sunscreen US Seller Fast Ship! BIODERMA PHOTODERM MAX SPF 50 AQUAFLUID TINTED SUNSCREEN LOTION. 40 ML / 1.33 FL. VERY HIGH PROTECTION. GOLDEN COLOR (TEINTE DOREE). Neutrogena Sheer Zinc Face Dry-Touch Sunscreen Broad Spectrum SPF 50 2 FL. Oz. Help protect your facial skin from harmful UV rays with Neutrogena Sheer Zinc Face Dry-Touch Sunscreen. - Formulated specifically for facial skin, this mineral sunscreen lotion contains antioxidants and layers invisibly under makeup. SUN PROTECTION. BITES AND BURNS. SKU: 079385000097. Coola Classic Face Sunscreen Cucumber Moisturizer Organic Suncare SPF 30 .24 oz.